Seven Things Your Teen Daughters Must Learn. Period. My first period came on the first day of seventh grade while I was wearing white shorts. It was like a scene out of a Judy Blume novel. Thank God it waited til I got home from school. Since then I have had a love/hate relationship with my cycle. (Start counting now to see how many names I can come up with for this topic) When I was a teenager, it was inconvenient and embarrassing. Even though I had a great mom and four sisters, I knew relatively little about what was going on. 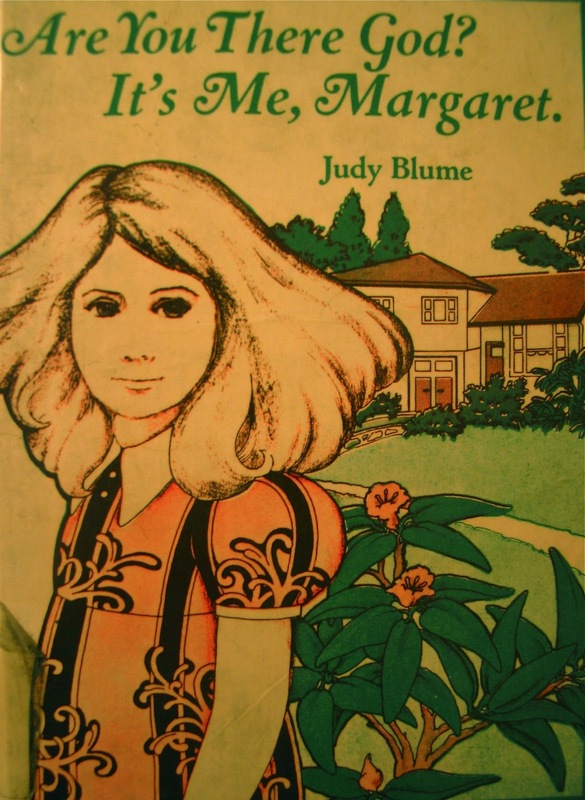 Here on some things I wish Ms. Blume, or someone, had told me long ago. Your mood will be dramatically affected — When I was a teen, PMS was not a “thing” yet. When I look back on some of the drama I was part of as a teen, I wonder how much of it was hormone-driven. A girl should not be making any decisions, proclamations, or changes during the time around her period. Unless you count cleaning or furniture rearranging. (see #2) I have noticed that my daughters want to cut their hair, break up with their boyfriends, move into their own rooms, or cut off a friend during their PMS or thereafter. Not only do they need to be aware of this timing, but their parents need to as well. A woman will forever deny that what she is feeling is period-related unless someone calls her out on it. That’s just the way it is. I tell my girls, and my husband, that my circumstances don’t change during PMS, but our ability to cope with them does. We are not inventing problems, we are just being really bad at handling them. People will seem more annoying – not only people, but things, animals, sounds,etc. The only thing to do is take a deep breath and wait. If a person is bothering you, it is best to wait until your hormones have settled to talk about what’s bothering you. If the problem is a thing, like your closet, a window shade that won’t stay down, a door that squeaks or that random junk that has been in your way for weeks, then go to it girl! Every month I announce the winner of my “Can’t take it one More Minute” award and I take on a problem. This always coincides with my PMS and can be very productive. You are not fat — Teach these precious babies about bloat and its evil ways. Don’t let them cry in their rooms while trying to zip their jeans. They need to know the truth. Ibuprofen is your friend — Two of these will make a big difference on those crampydays. 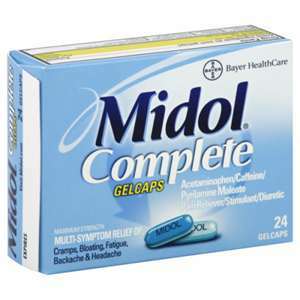 Your girls should always be packing these pills. Drinking a whole glass of water will do wonders as well. If they have a pain in their stomachs that feels like someone is digging a hole, they need to lay off the meds. Be sure they understand the dosing and timing of taking pain relievers. Your body can’t tolerate lactose very well – During your period, dairy products are harder to digest. I don’t have medical facts to back me up here, just the experience of myself and three teen daughters. It is probably best to avoid a milkshake binge or a plate of cheesy nachos. Sorry for the TMI, but they will be thankful to know this. The big O — No, not that big O. I’m talking ovulation. I have learned the awkward art of discussing this time of the month with my older daughters who are dating. they need to know that their bodies become ready before they are. Men will suddenly be more handsome, cuddling (and more) will feel irresistible, and an ex will suddenly not seem so bad. Teach them to know and be aware of their body calendar all month long. They shouldn’t feel like victims of the cycle, but they shouldn’t be taken by surprise either. Your skin is on a cycle — Kids today have a whole arsenal of weapons to fight breakouts and blemishes. Your daughter needs to know that the big knot that forms during her time of the month cannot be squeezed, pushed, or scraped away. These are not your average pimples. All they can do is treat them with whatever product they have and wait. Too many girls scar themselves trying to tackle these monsters. Reassure your girl that these zitty days will pass and one week a month of acne does not make them a person with bad skin. Our menstrual cycles are a huge part of our lives. In the school bathroom, they are troublesome. To the woman who is not ready for a baby, they can be joyous. For all of us, it is a sign of good or ill health that we shouldn’t take for granted. If a young woman learns her body, she will be that much more prepared for life as an adult. And that, after all, is why we are raising His child. What other warnings would you or do you give to your daughters? Leave a comment and let me know what you’ve learned at your house. This entry was posted in parenting styles and tagged acne flair ups, bloating, breakouts, dairy on your period, girls on their menstrual period, irritability, judy blume, mood swings, ovulation symptoms, what to teach your girls about their period by lookmom. Bookmark the permalink. And I wish I’d known growing up that I could have blamed my clumsiness – at least some of it! – on PMS. Now that I know I don’t get as frustrated with myself when there’s a monthly spike in fumbles. AND sometimes I remember to be more careful, go figure.